Since 1987, the biggest and brightest voices in the recording industry have generously lent their time and talents to Special Olympics to create the A Very Special Christmas albums. The grants generated by these albums have impacted Special Olympics Programs around the world, a few of which are highlighted below. Special Olympics Russia athletes have been able to attend competitions around the world. Special Olympics South Africa trains 34,000 athletes and hosts 730 competitions each year. 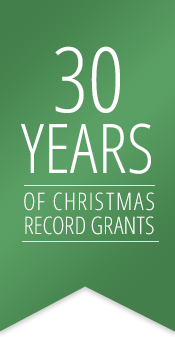 Special Olympics California received one of the very first Christmas Records Grants in 1988. Special Olympics Programs in 159 countries and territories have received Christmas Records Grants over the past 25 years. Special Olympics China is now the largest Special Olympics Program in the world. By 2001 Special Olympics Egypt was such a successful Program that it was a model for others. Malawi is a small country but it has a vibrant Special Olympics Program. Every time Special Olympics Afghanistan athletes compete abroad they return home as heroes. ALPs helps Special Olympics athletes like Yofan Aditia increase their social skills. A 2009 Christmas Record Grant allowed Special Olympics Serbia to offer new opportunities. 148 internationally acclaimed recording artists have donated their time and talents to the A Very Special Christmas albums. Special Olympics Colombia was given a major boost by their first Christmas Records Grant.